Rarely available high floor corner two bedroom apartment with panoramic views of the city skyline and indirect East River views. An elegant sunny home with floor-to-ceiling and wall-to-wall oversized windows in each room. Gracious entry gallery, spacious living/dining room, two split bedroom wings, 2 marble baths and ample closets. 870 United Nations Plaza is a white-glove distinguished building with roof deck, health club, garage and private storage room. 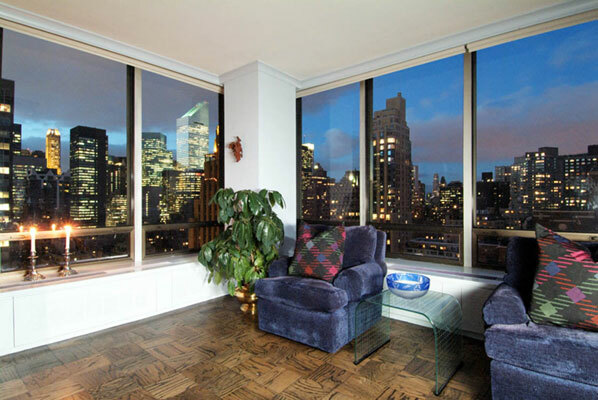 The Twin-towered, 39-story apartment complex commands impressive views of the United Nations to the south, midtown to the west and the East River to the east. The full block building has its own block-long driveway that makes for an impressive entrance. It was designed by Harrison, Abvramovitz & Harris and erected in 1966. The twin-building complex has always attracted an impressive roster of affluent tenants including the late philanthropist Mary Lasker who is fondly remembered for her donation of cherry trees and thousands of daffodils to the United Nations lawn. The building affords a prestigious address in an exclusive enclave known for its elegance and convenience to hectic midtown.